<?xml:namespace prefix = st1 ns = "urn:schemas-microsoft-com:office:smarttags" />Tuesday, November 25, 2008. Down under. One Australia, two Australia. 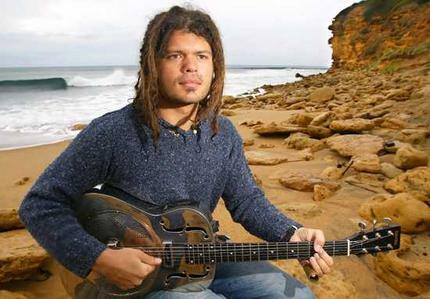 Please meet Ash Grunwald and Gurrumul Yunupingu. First, we have Ash (main picture), his mother is Australian, his father an African. He’s a surfer boy, a nomad by choice, drives a van all around Oz. Ash decided to sing blues. Yeah, that’s what I said: blues. I got hold of his first album, Introducing Ash Grunwald, and didn’t know a thing about him. But two things struck me: I liked what he was doing with the traditional blues songs even though he was no match for the originals, but then again he was doing them acoustic while most of the ones he had chosen to cover were from recorded with electric guitars. “I had a producer for the first time. His name is Pip Norman, aka Count Bounce, from TZU. I met Pip at a songwriting day that our publishers put on called Writers Block. I had never really done that kind of thing before and I was pretty apprehensive about it. I wanted to do a beats thing myself for the next album, because I have been doing it already and when I met Pip I didn’t realise he was a producer, he got his laptop out and laid down a beat, and we wrote Fish out of Water, and bang after that I hit him up and asked him to do an album with me." While I like the early music better than a lot of the songs on Fish Out Of Water, I do like “Get What You Want,” “The Devil Called Me A Liar” and the title song, like them a lot. I think it’s important for Ash to keep stretching, keep experimenting keep searching to find his own sound, which, if he is true to who he is, has to be more than an echo of traditional blues. There is a raw urgency in Ash’s best music. He sounds like he sounds, not like someone trying to please other people. It will be interesting to hear where he goes as he digests the influence of traditional blues and at the same time experiments with technology. 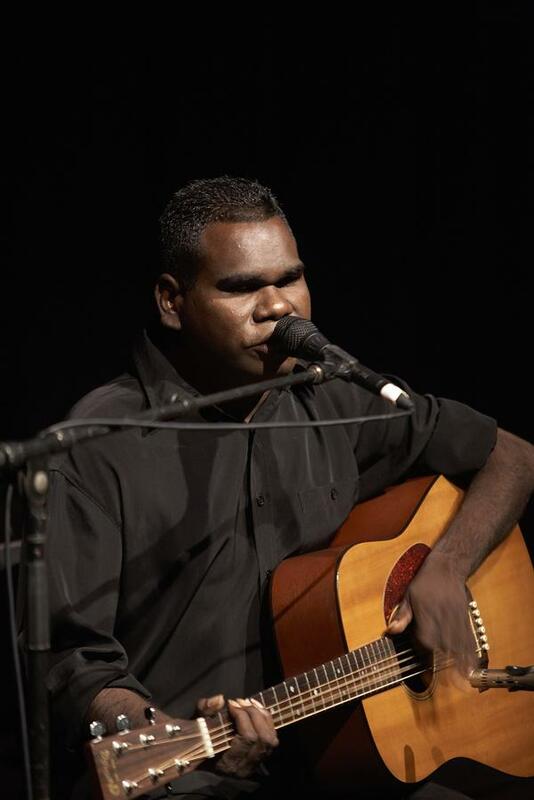 Geoffrey Gurrumul Yunupingu is an Australian aborigine who sings mostly in his mother tongue of Yolngu Matha. A autodidact who began playing on a toy keyboard his mother gave to him, he is left-handed and plays a regularly tuned guitar upsidedown. Gurrumul has a dual focus: he offers traditional themes on the dream state side and reflections on contemporary issues on the contemporary reality side. My Yolngu is pretty rusty, so I can’t do much translating. I encourage you to do like me — just kick back, close your eyes and let the sounds free you to drift into what Stevie Wonder calls innervisions. Oh, did I tell you that Gurrumul is blind? Gurrumul’s music is soothing, encourages contemplation, blissing out and dreaming of beauty, whatsoever one might consider beatific. I know that Gurrumul’s melodies are jewels, quietly beautiful, like sincere prayers. The simple but ultra effective parallel harmonizing is totally relaxing. The music on Gurrumul is a balm during troubling times. If you spend an hour alone with Gurrumul’s music you will definitely end up with a better idea of who you are. Ash is the exterior of Australia, Gurrumul the interior. Both are authentic, even as they are very different from each other, yet I think they are connected by more than mere geography. They both are serious about living through music, offering us songs that are keys to understanding—and if not understanding at least resonating with—the other.